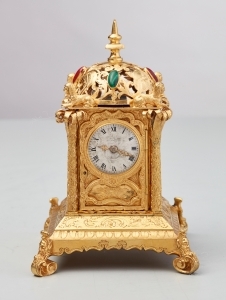 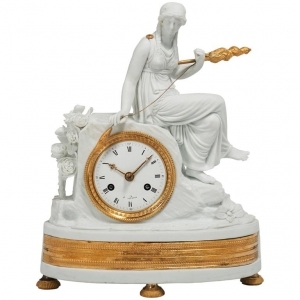 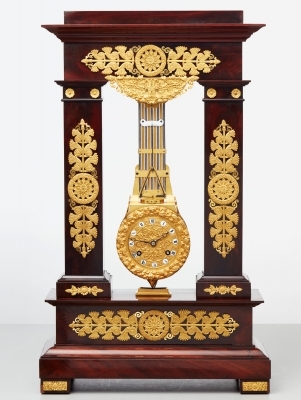 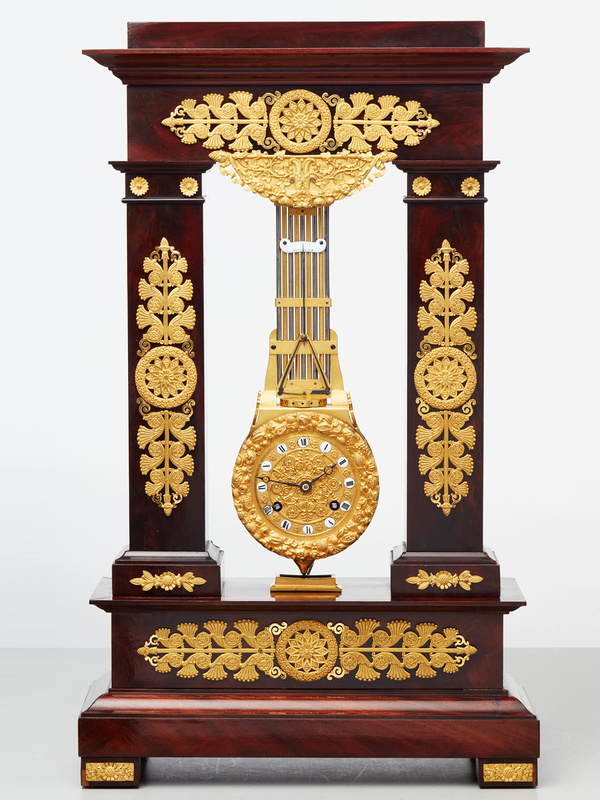 An impressive mahogany richly decorated four column Empire mantel clock with oscillating movement. 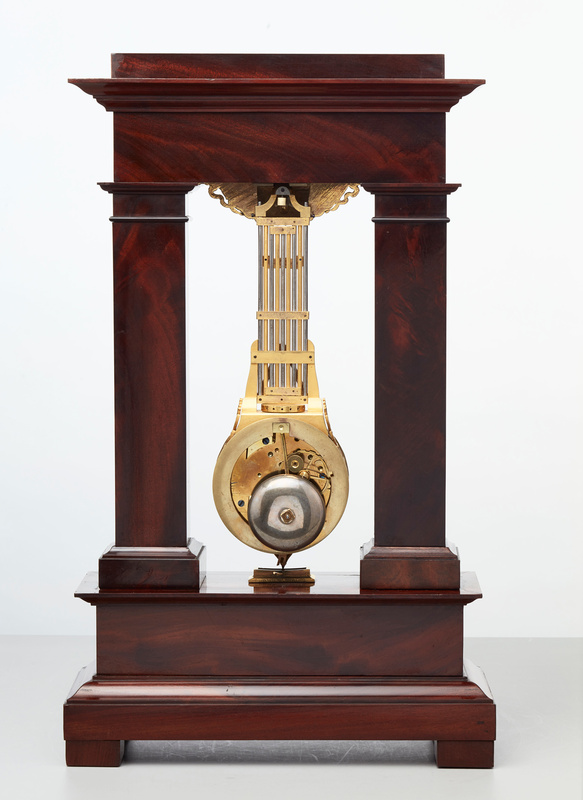 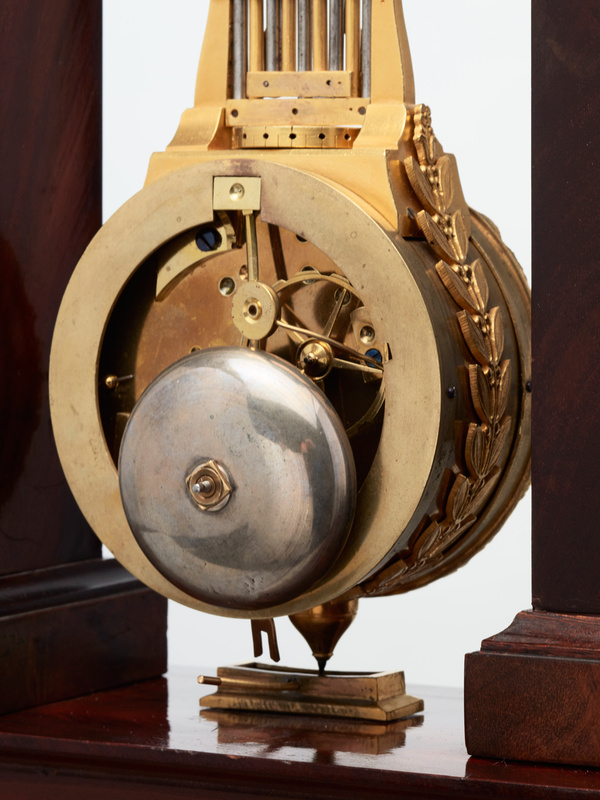 The eight day ‘striking on count wheel’ ‘knife edge suspended’ movement, mounted in the bob of pendulum. 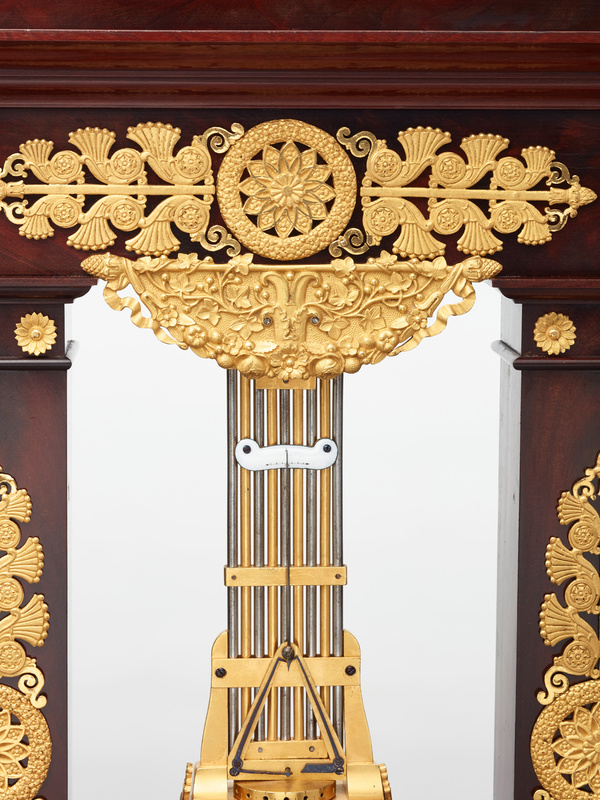 On the pendulum, a nice steel rod hand indicating the temperature compensation. 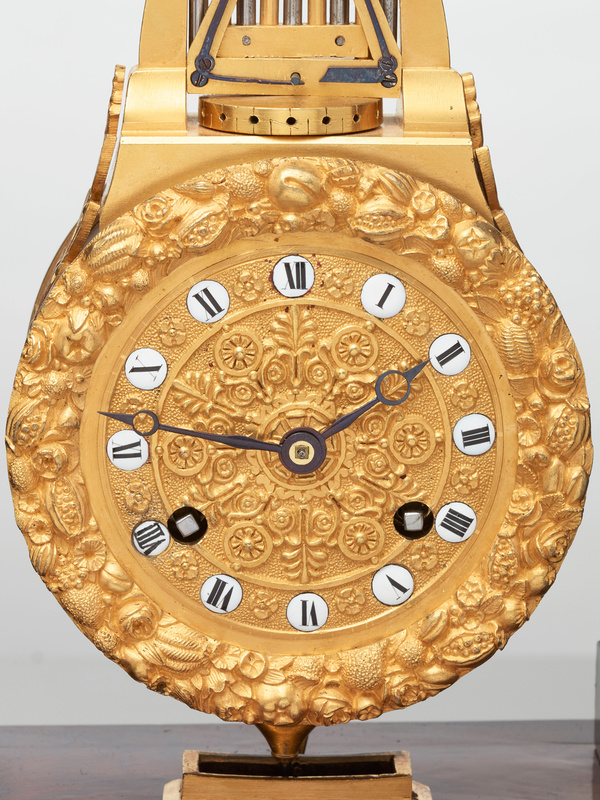 ‘The magnificent bronze guilded detailed dial, together with enamel Roman numbers for the hours and lovely steel ‘brequet’ hands. 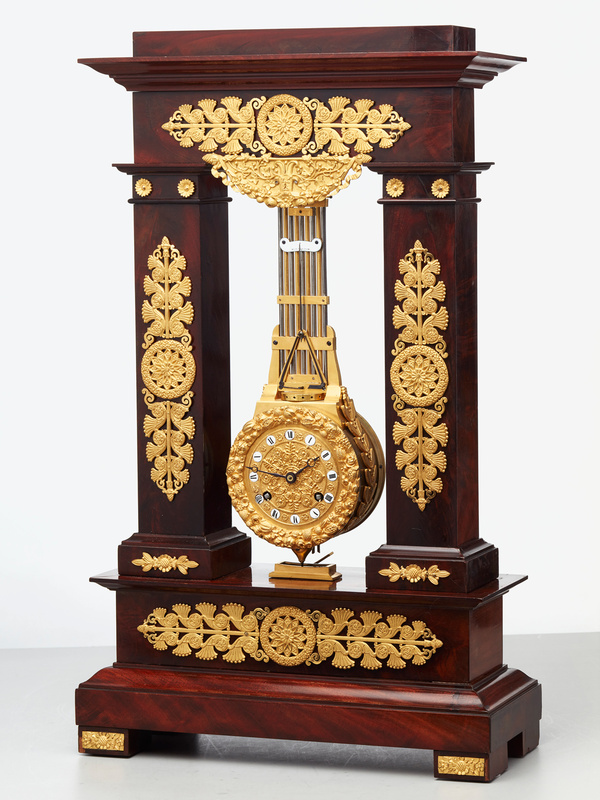 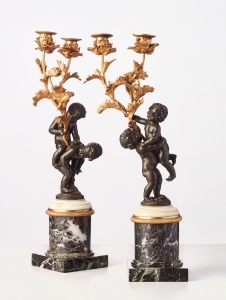 The unusual mahogany case with square pillars is very rare and desirable. 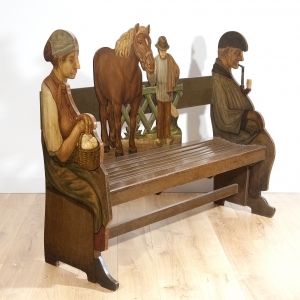 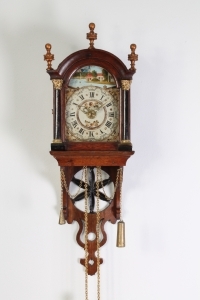 An attractive Dutch Frisian maddered oak striking alarm 'staartschippertje'wall clock, circa 1830.